Met Eireann and the Met Office have announced the new list of storm names for Ireland and the UK 2018 and 2019. Some classic Irish names have made the list from Niamh to Oliver, Saoirse and Kevin. The Met Office has said a storm will be named on the basis of medium or high potential impacts from wind but also include the potential impacts of rain and snow. This list is effective now and the next storm to hit will be called Ali however the Met Office has said there are no storms on the horizon for Ireland or the UK at the moment. 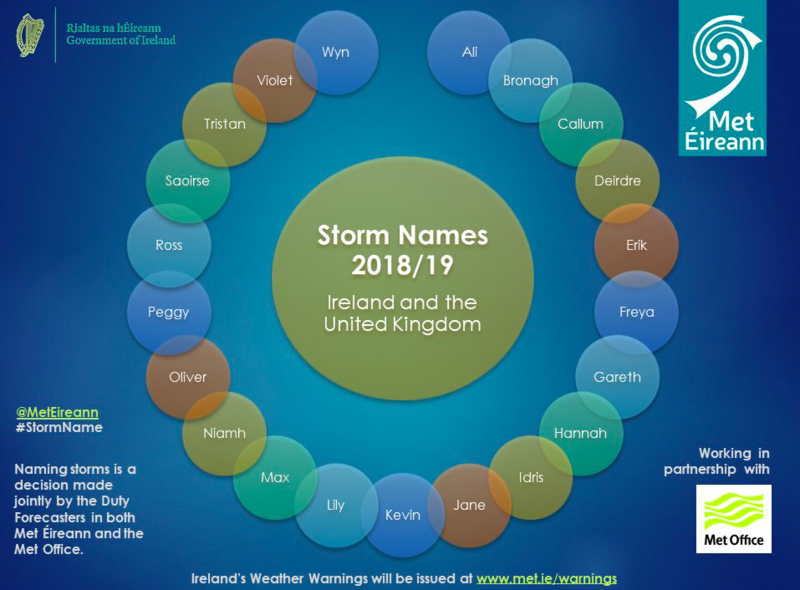 Here are the UK and Ireland's storm names for the 2018-19 season!